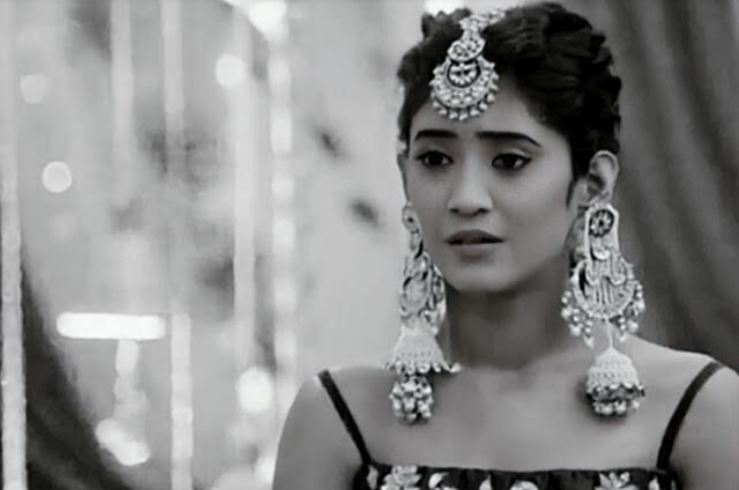 Yeh Rishta Ishq SubhanAllah Sitara: Kartik finds Naira in trouble when she jumps in the lake. She stays angry on him. Kartik wants to see her fine and happy. He jumps into the lake to save her. They have a big fight when they leave the holi festival and getaway. Kartik helps Naira realize her love. He tells her that he will always protect her and keep his love vows. He apologizes to her for hurting her heart by calling off the marriage. He requests her not to repeat his mistake and forgive him. He helps Naira side off her ego, so that they can marry and unite. He fears that memory may get triggered and she may not forgive him for the past. Sitara gets excited for her very first holi with Viraj. She tells him that she wants to fulfill all her duties and bring much happiness in the family. She keeps Viraj’s faith and love. She loves Viraj a lot. She manages all the arrangements of the holi function. Viraj is proud of his choice that he has married Sitara. He feels lucky to get Sitara’s love. Sitara doesn’t want Vrinda to ruin the fun. She wishes Vrinda stays away from the family. She wants everything to get fine. Sitara and Viraj come closer while celebrating their happiness. Vedika tries to control Sahil when he rages on Guddu. Sahil and Guddu get into an argument. Sahl spots Guddu with a girl. He scolds Guddu for flirting with someone. Ghungroo has done black magic on Guddu and changed his personality. Sahil doesn’t want Guddu to trouble the family. Sahil is facing troubles at Vedika’s house. He loses his cool when he finds hard to struggle. Guddu humiliates Sahil to provoke his anger further. Guddu then realizes what’s happening and apologizes to Sahil. He tells Sahil that he is in love with Arya and is just of her, he can’t cheat Arya ever. Everyone supports Guddu knowing his good character. Guddu forgets what he did and thinks Sahil is wrong to accuse him. Zara and Kabeer get distanced again by their different perceptions. Kabeer is upset with her again. Zara tells him that if a woman decides to work after marriage, she isn’t wrong. He tells her that a man is meant to do a job, while a woman is meant to manage the house chores. Zara tells him that they should adjust with the new thinking and support women empowerment. Kabeer tells her that she should accept old traditions of their religion and not oppose. Kabeer and Zara try to explain their perceptions to each other. Udaan: Kiku misbehaves with Anjor during the holi party. Anjor angrily slaps him. Anjor gets much pampered by Poonam. She always plays pranks on Poonam and Jatin. She is much upset since Sameer is not talking to her. She wants Sameer to forgive her. Anjor feels Chakor has cheated her and hates her a lot. She develops a soft corner for Chakor and Sameer. She starts falling in love with Sameer. She realizes her mistakes. She decides to win Sameer’s heart.